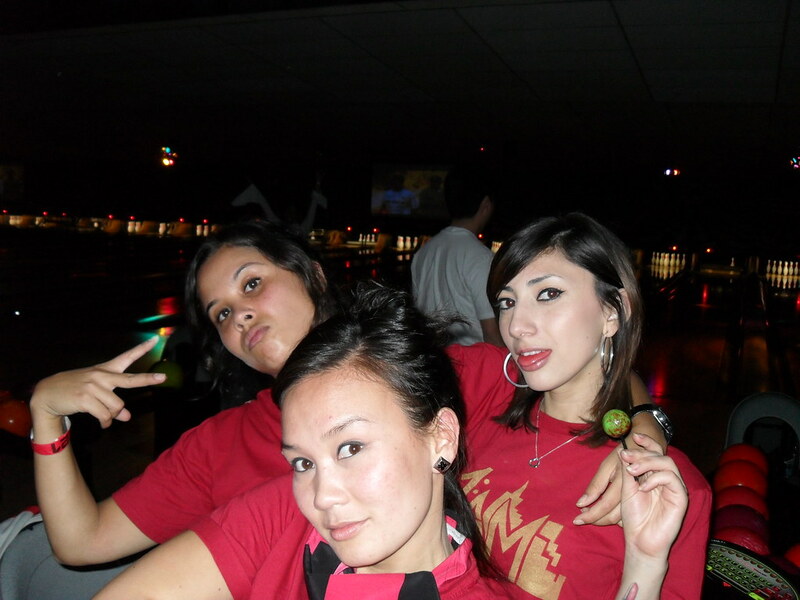 Last week, 1:AM gallery represented at KingPin 2009 which is held annually at Classic Bowl in Daly City. It is always a fun time with an abundance of liquor flowing, people gettin’ down and the beats spun by incredible DJs like Apollo, Sake One, Similak Child and Fran Boogie. This is the second year we participated and we look forward to making this a yearly tradition for 1:AM gallery. The day didn’t start out so good for us though. Half of our team was driving back from LA, stuck in traffic, while the other half was either sick or rushing over from another event (where they ran into Vladimir Radmanovic, PF for the Warriors, complete side note). Amazingly enough though, we all made it there at 9 o’clock on the dot just in time for the tournament. True to our team’s mantra, we got down to business and had fun. The hectic time trying to get there quickly dissolved the minute the first person bowled and the first pitcher devoured. It wasn’t our best bowling performance but we guess, after 10 pitchers (that is all we remember counting) to the dome, who would? By the way, check out the super fresh design Rocio made for our team shirts (stencil skills learned in Roman’s Stencil Class at the gallery, what a great plug, huh?). Coming soon to an 1:AM gallery near you! Rocio got skills. 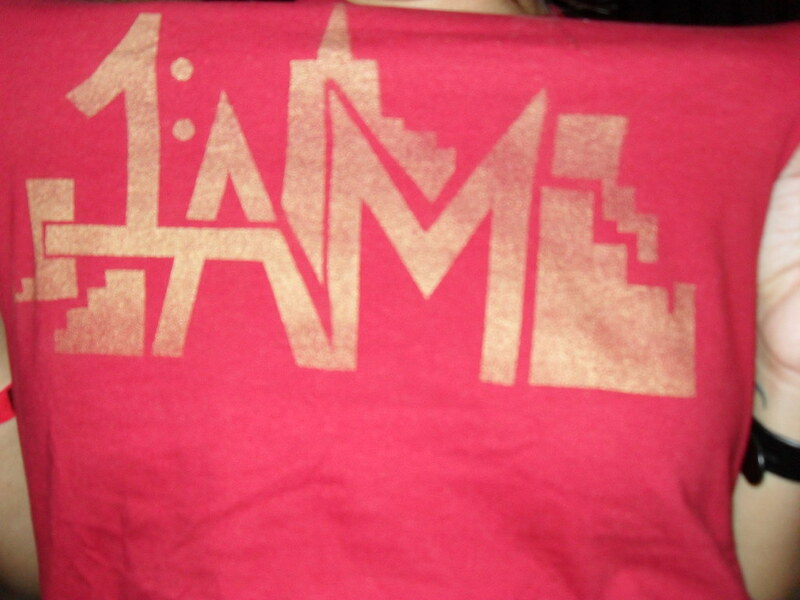 She took Roman's stencil class and keeps on creating. 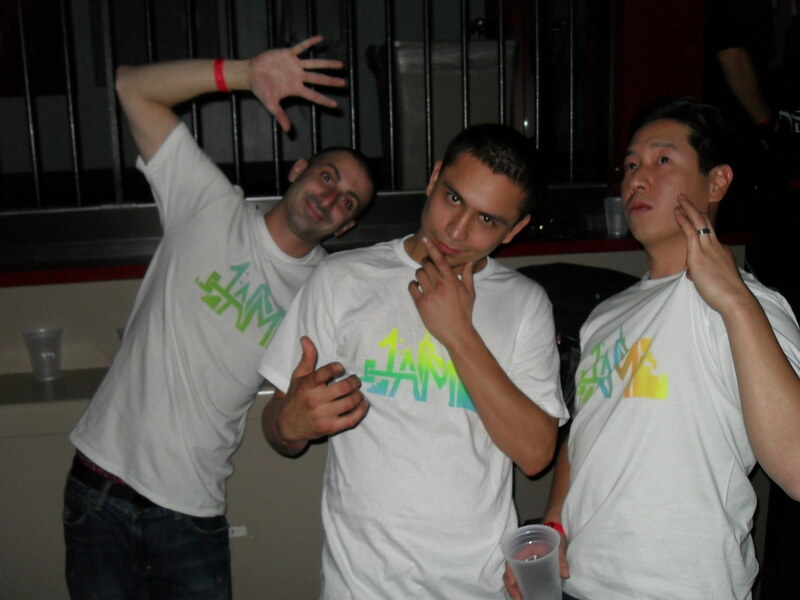 The boys: Roman says hi-five, Robert being pensive, Dan having a toothache. This photo makes us laugh. Roman looks like a bear about to attack and Dan is saying Who Me?!?! Thanks to Distortion2Static for taking the team photos!